Every single woman knows at least a few basic safety rules. First, don't talk the strangers. Second, don't invite strangers into your home. Sometimes, however, a lonely woman gets comfortable and after darkness falls, lets those rules slide. But with the darkness, if one believes in such things, might come creatures of the night. 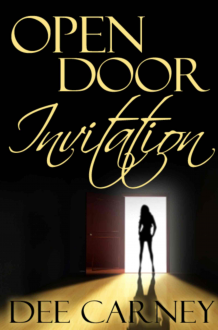 Throw an open door invitation into the mix, and anything can happen. Um, quite an interesting story, although it was too short. Surely it could be larger with more details, in-between and at the end, too.